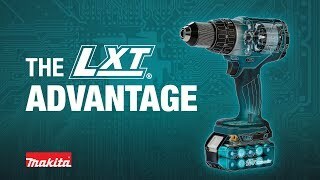 The 18V LXT® Lithium-Ion Cordless Drywall Screwdriver (model XSF03Z, tool only, batteries and charger sold separately) breaks new ground for drywall contractors. It's powered by a Makita brushless motor for longer run time, increased power and speed, and longer tool life. With the exclusive Push Drive™ Technology, the 18V Drywall Screwdriver can be set on lock-on mode so the motor starts only when the fastener is engaged. This gives contractors a quieter work environment, and also saves on battery power. It’s built for added durability with Extreme Protection Technology (XPT™), which is engineered for improved dust and water resistance for operation in harsh job site conditions. It is ideal for hanging sheetrock, metal framing, installing subfloors, backer board, and decking applications. Shipping Weight : 3.3 lbs.